Say it Big. 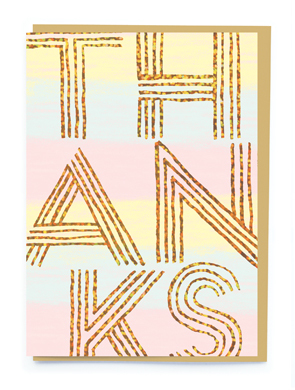 Say it Gold, thank you card with gold holographic foil. Blank inside and supplied with a pure gold envelope. Designed and printed in the UK.